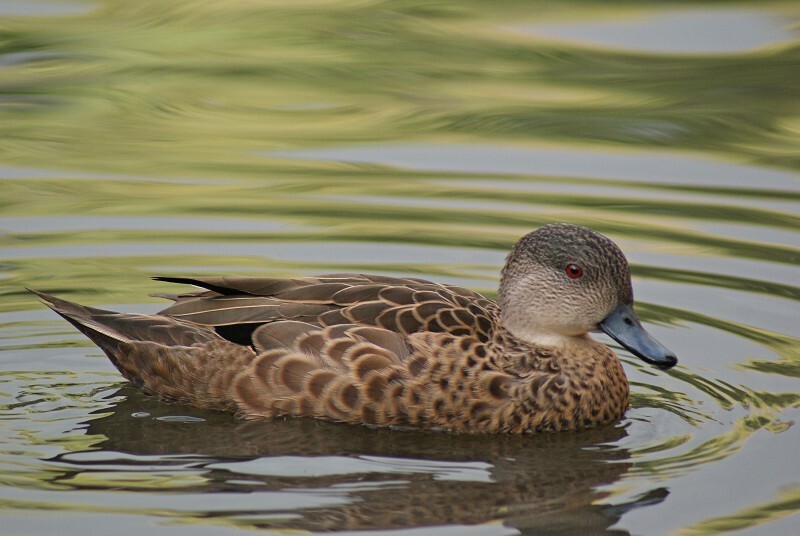 A common small duck (40-48 cm, with the males being larger than females), often found with Chestnut Teals when they occur together. 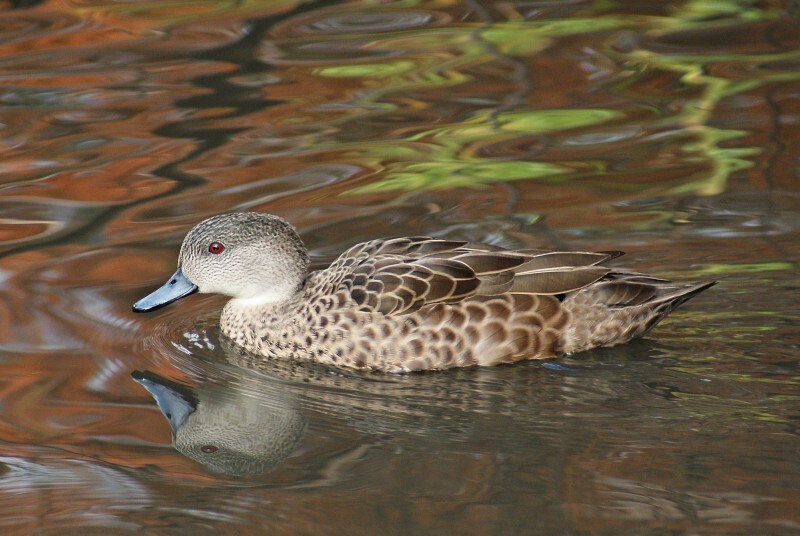 Makes and females are alike and can be told from a female Chestnut Teal by the white cheeks and neck. 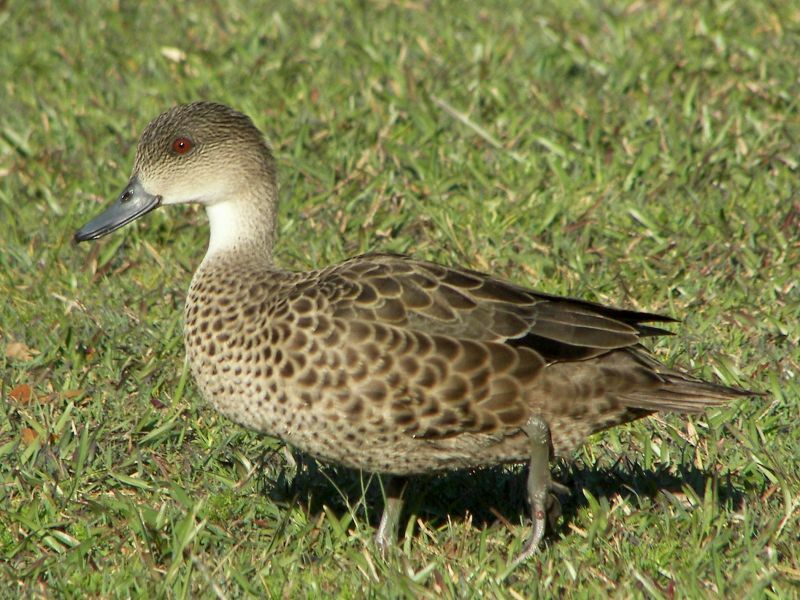 They are present in New Guinea, New Zealand, other Pacific islands and throughout much of Australia and will travel extensively to search for water. 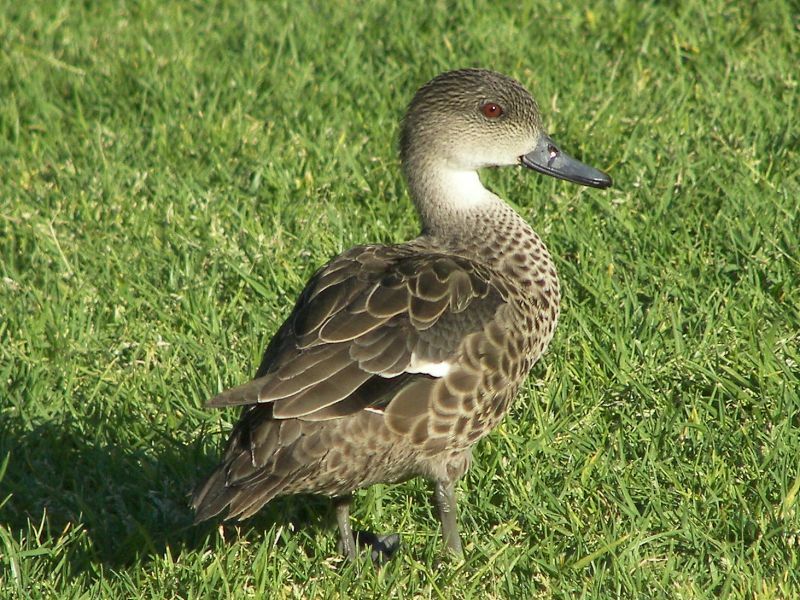 1-2: Adelaide Botanic Gardens, SA, 04/06/2012. 3-4: Royal Botanic Gardens, Sydney, NSW, 13/09/2009.